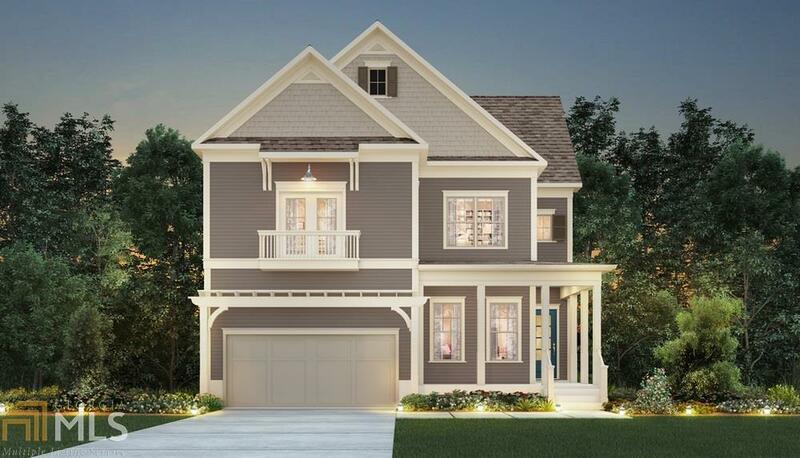 TIMELESS STYLE AND INNOVATIVE, OPEN INTERIORS COMBINED IN THE CALDER PLAN. ENTERTAIN WITH EASE FROM YOUR DREAM KITCHEN WITH ITS SPACIOUS ISLAND AND LARGE WALK-IN PANTRY. SWEEPING VIEWS OF THE GATHERING ROOM AND CAFE EASILY KEEP THE COOK A PART OF THE CONVERSATION. FIRST FLOOR GUEST SUITE WITH FULL BATH AND COVERED LANAI ON A PRIVATE HOMESITE. SECOND FLOOR SPACIOUS OWNER&apos;S SUITE COMPLETE WITH PRIVATE SITTING AREA AND LUXURY BATH THAT FEELS LIKE YOUR OWN PRIVATE RETREAT. TWO ADDITIONAL SPACIOUS BEDROOMS ON THE 2ND FLOOR AND BATHS MAKE THIS HOME COMPLETE! Directions: I-85 South To Exit 61 Hwy 74, Turn Left Off Exit To Right On Kedron Drive. Everton Parkside Located On The Left.